Day Clock counts days since last medication plus Blinking Reminder when you have reached day 7. Never forget to take your once a week (weekly schedule) medication again! 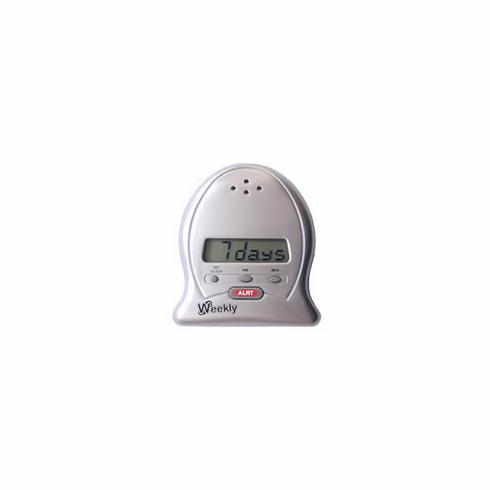 This device was originally developed to keep track of when to change your disposable contact lenses but works great as a 7 day (1 per week alarm) medication reminder. Size: 2 1/2 inch x 1 3/4 inch x 1/2 inch.